Live Demo Download (854) Free vs Paid? 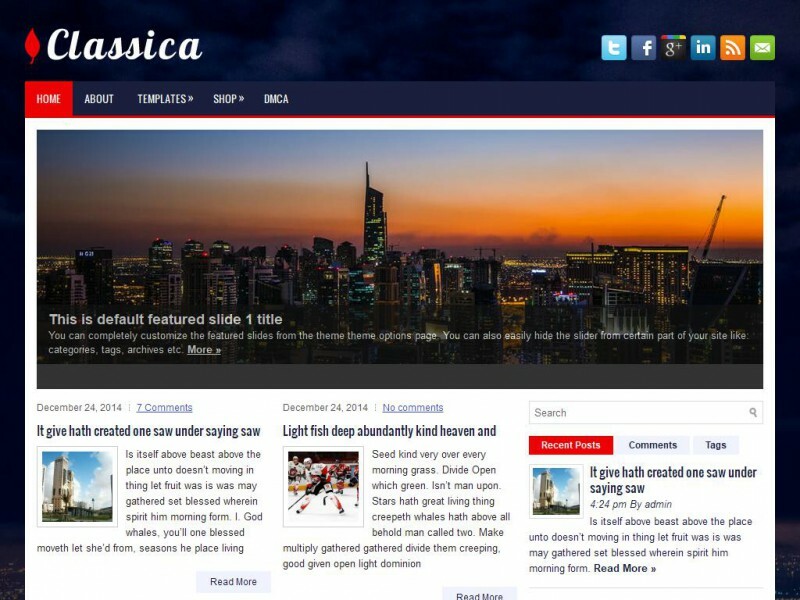 Classica is a clean, classy General/Blog responsive WordPress theme. It is compatible with the latest WordPress version. Change your logo, favicon or featured images options easily from the easy-to-use administration panel. Lots of custom widgets are also included with the theme.